The 4GB model of the Xbox 360 was always a stupid idea for modern gamers, but even the base model 500GB Xbox One is looking a little paltry these days, given the rise of full game downloads and consoles as media centers.That’s why Seagate came up with its new 2TB Game Drive for Xbox, which works with both the Xboxes One and 360. The drive is priced at $110 and comes with a top-case in Xbox green and a black body. It’s also emblazoned with the Xbox and Seagate logos and uses USB 3.0 to connect to your Xbox. Seagate hasn’t announced a specific release date for the new drives and, at this writing they were not available at Amazon or Gamestop. The impact on you at home: Unless you’re comfortable diving into the Xbox One’s innards to swap out the hard drive, your best bet is to use an external HDD. Seagate’s external HDD isn’t anything special and a little over-priced at $110. The average 2TB Seagate external drive on Amazon will set you back around $80. 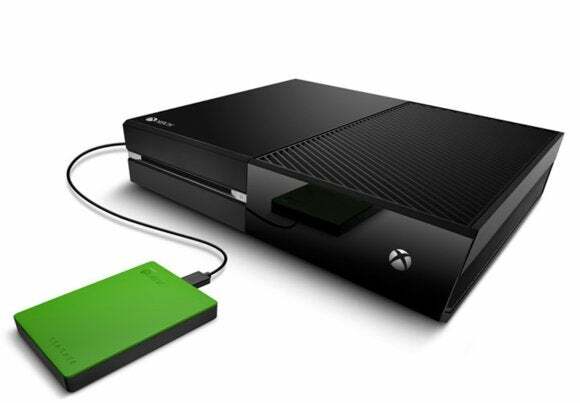 Most external drives won't blend into your entertainment center as seamlessly as the 2TB Game Drive for Xbox, though. Modern games are storage monsters. Grand Theft Auto V stakes a claim to about 50GB alone on the Xbox One, and other top-tier games like Battlefield Hardline aren’t much smaller. Unless you sprung for the recent 1TB Xbox One, you’ve got a storage problem if you want to keep multiple games on your console. Even if you did get the super-sized Xbox One, Microsoft’s upcoming DVR feature for over-the-air broadcasts requires an external HDD. Seagate chose a good time to tailor a hard drive for the Xbox fans, thanks to a “strategic marketing relationship” with Xbox-maker Microsoft. But are you willing to pay for an overpriced external HDD based on looks alone? That hard drive does look awfully pretty.